Valuing private car number plates can be an art as much as a science. You can’t just type in the letters and numbers to a software programme, input some variables, and get a reliable valuation out of the other end. So, if you are hoping to find out how much your personalised number plate is worth, there is a range of factors you need to take into account. In this article, we will go through how to get your private number plate valued, and look at the features that can make a plate worth more or less money. Remember that, despite valuations and estimates, a private number plate is only worth as much as someone will pay for it. You may have loved your personalised number plate because it contains your initials, for example, but if there aren’t many other people with your initials, the plate’s value may be minimal. On the other hand, if you have a plate whose letters contain common or popular names, you may well find that it is in high demand on the market. 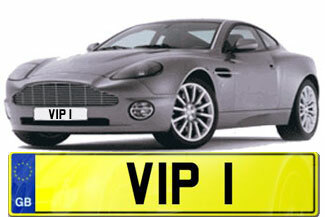 Take into account the following criteria when trying to come up with a valuation for your private number plate. You need to look at them all together if you want a realistic price, so you can’t just pick and choose the factors that favour your number plate! The plate’s rarity: if a lot of similar registration plates were issued, your plate may be less valuable. So, the relative rarity of older, dateless number plates makes them more valuable, as a whole, than newer, dated plates. Similarly, having a private plate with a word or name spelled out on it gives it a degree of rarity that would raise its value. How close a series of letters or numbers are to a real name of word: if the match quality is high (and the numbers and letters are very convincing in making a popular word), the value of the registration plate will be higher. This means that a match like 5IMON, for the name Simon, will be worth a lot more than a more obscure set of letters and numbers that are not as convincing a match, such as S17 MMM for the name Sam. New ’66’ Number Plates Available Now!